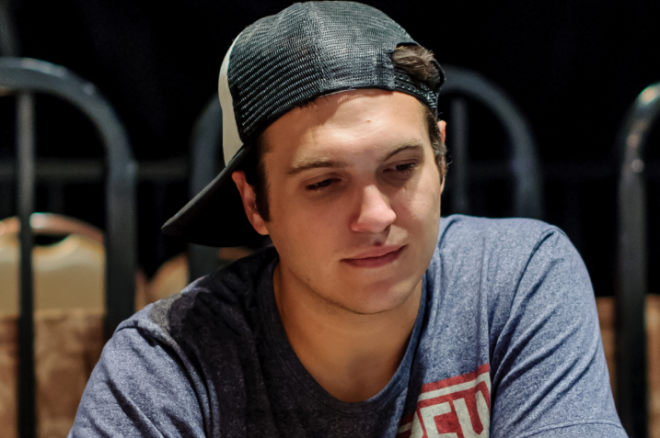 The highly publicized heads-up no-limit hold’em challenge on Full Tilt Poker between Doug "WCGRider" Polk and Ben "Sauce1234" Sulsky has been on hiatus for a couple weeks, but as of this week, a conclusion has been reached. When the challenge last left off, Polk was up nearly $600,000 with approximately 1,400 hands remaining. Needless to say, it wasn’t a question if Polk would win, it was a question of how much. On Wednesday, the two completed the match's 15,000 hands in 3.5 hours (which went over by 144 hands according to HighStakesDB) and Polk walked away a $160,000 winner. That put Polk up more than $740,000 in the challenge, allowing him to secure the $100,000 side bet between the two. In the biggest pot of the match, Polk ($54,332.84) opened for $480 only to have Sulsky ($41,782) three-bet to $1,440. Polk made the call, the flop came down , and Sulsky checked. Polk bet $2,400, Sulsky called, and the appeared on the turn. Sulsky check-called a bet of $7,600 and then checked for a third time when the completed the board on the river. Polk opted to shove and Sulsky called off his remaining $30,342. Polk then tabled the for quads, and he was pushed the $83,564 pot after Sulsky mucked. The win was no doubt satisfying, but the fact that he lost $360,000 back to Viktor “Isildur1” Blom in 2,700 hands of $500/$1,000 CAP NLHE later in the night was not. You can read more about Blom's successful week over in the this week's Online Railbird Report. Download Full Tilt Poker and get a 100% deposit bonus up to $600!